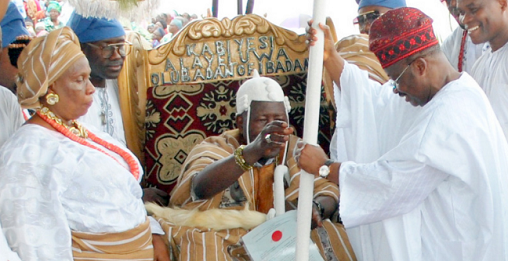 The Olubadan of Ibadan land, Oba Saliu Adetunji is bereaved. The monarch lost one of his daughters on Tuesday in an auto crash and has been down since then. It was said that the accident occurred at the end of Lagos-Ibadan express way on her way to her shop. Her personal car had broke down, she then took a taxi, but unfortunately the taxi got involved in an accident which took her life. Mujidat Alagbada was married to a popular music promoter, Alagbada.